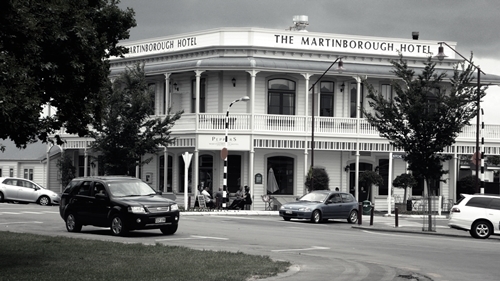 Martinborough is just an hours drive over the mountain from Wellington on New Zealand’s north island. 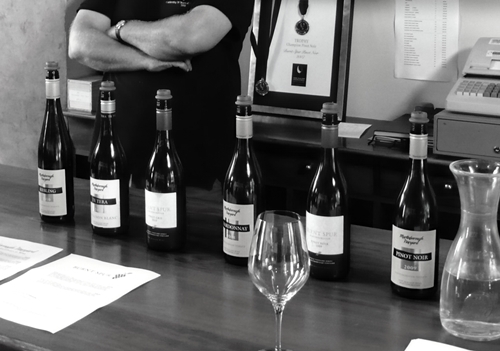 Characterised by its many small producers aiming at quality Pinot Noir. Here we see the town square with the once famous hotel, which unfortunately felt quite run down when we were staying there. 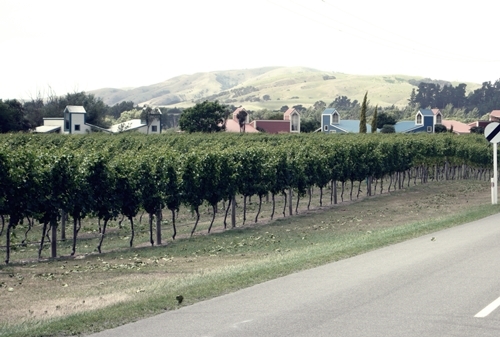 A high quantity of the wineries’ cellar doors are positioned along the roads going into the town square of Martinborough. Most within walking/cycling distance. 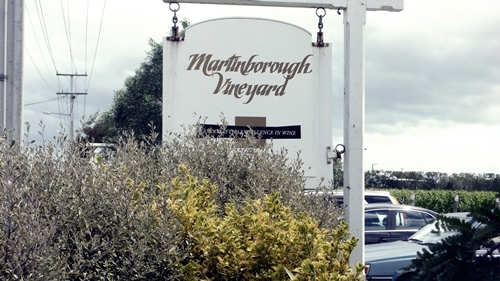 Martinborough Vineyard is one of the local wineries that have won great acclaim by critics worldwide and won numerous competitions. The most controversial was a Californian tasting aiming to name the world’s top 20 Pinots, as it named their 1998 Reserve Pinot Noir the world’s greatest Pinot Noir. Their trophy décor might not be to everyone’s liking, but the current winemaker Paul Mason has continued his pre successors impressive work and their Pinots are very delicious. Their Riesling is also noteworthy. 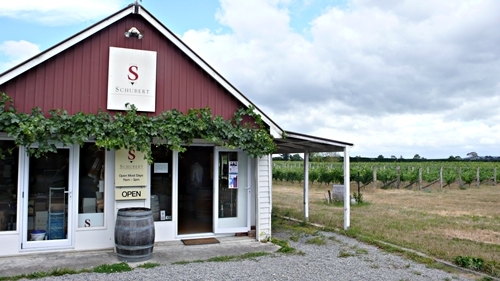 Schubert wines is a tiny producer, yet the ambitions have always been high from this German couple, graduates in viticulture and oenology. Kai Schubert has during the recent years travelled around the world with his impressive Block B and Marion Pinot Noirs (vineyard named after Marion, his partner in life and business). 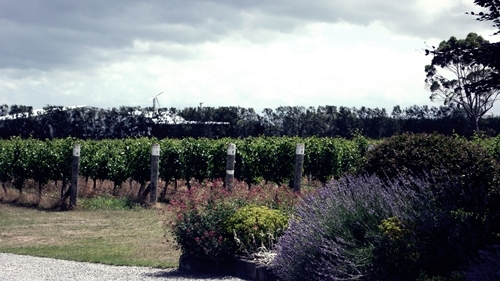 His hard work promoting his wines has paid off as they are now recognised among NZ’s finest. The modest cellar door did not make the experience any less. 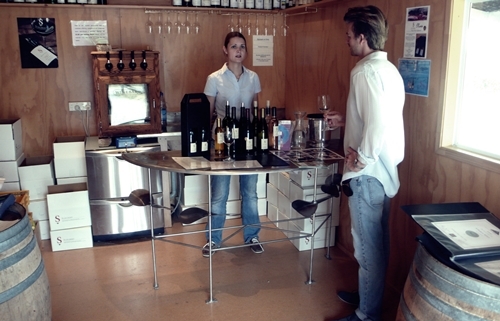 Christine Calmus was generous to answer questions and the wines amazed. Also their excellent sweet wine called Dolce, made of Müller-Thurgau in small quantities. Ata Rangi is the Maori term for new beginning. New Zealand has unlike other nations chosen to see to eyes with their dark past, and has gone far to support/aid the original people called the Maoris. 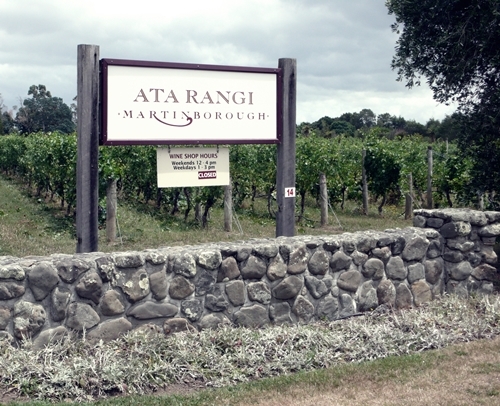 Ata Rangi has quite a unique story as their Pinot Noir vineyards are in fact planted using Dijon clone cuttings from Domaine de la Romanée-Conti. Visited early in the season during the first leaf pruning. 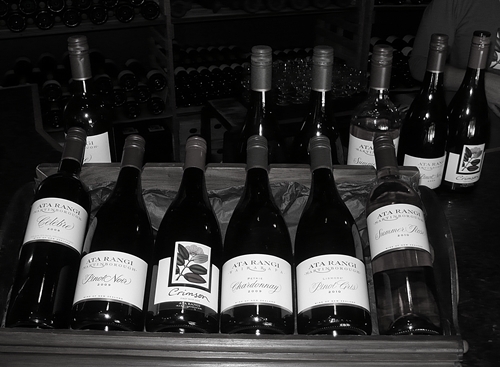 Ata Rangi is known for their brutal cropping on their low yielding vines, which is part of the recipe for their extraordinary quality. Here the portfolio including both their unique long lived classic Pinot Noir and their Pinot Noir release Crimson. Crimson is from their younger vines and is made intended to be enjoyed at a younger age. The illustration also reveals its aim to support “project Crimson”. The Crimson Project strives to plant and protect NZ’s native red-flowering Christmas tree. A tree we actually saw blossoming while we visited NZ. Crimson is for the same reason also the perfect Christmas wine.